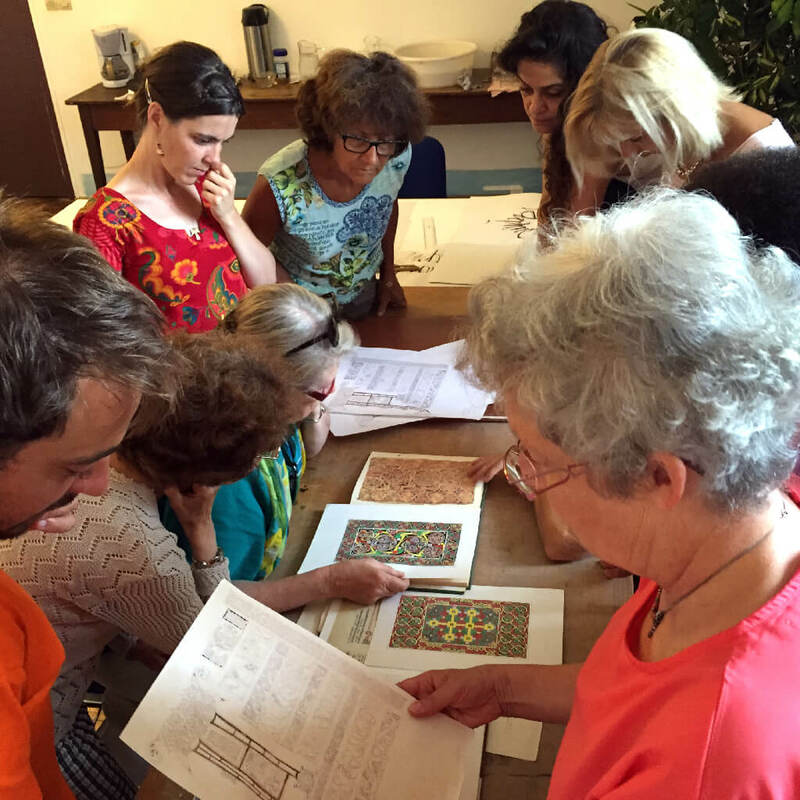 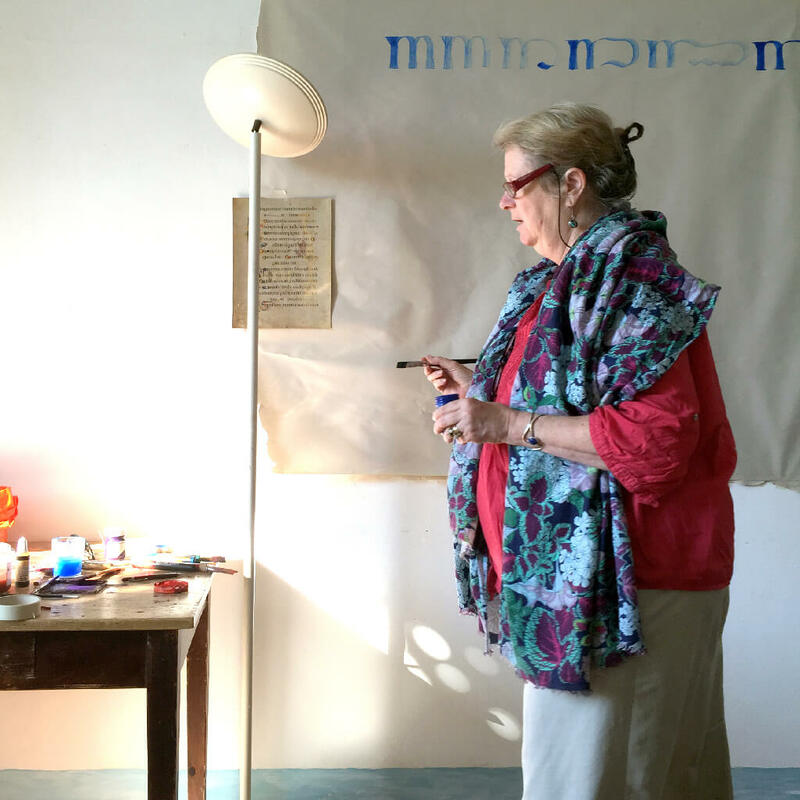 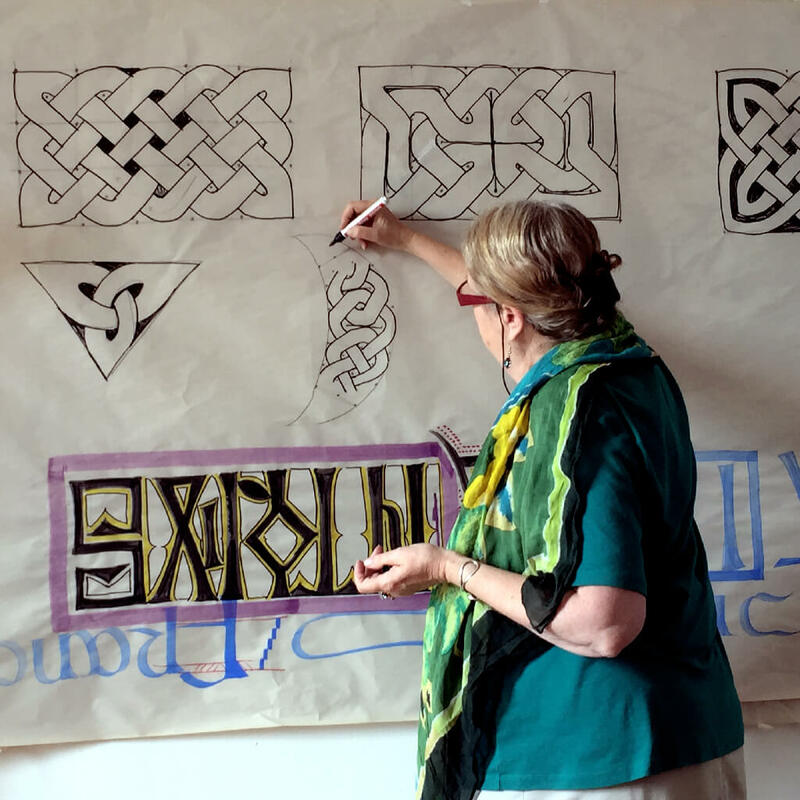 In August 2015, I attended a Celtic calligraphy workshop in Saint Antoine L’Abbaye (France) with Mrs Amanda Adams. 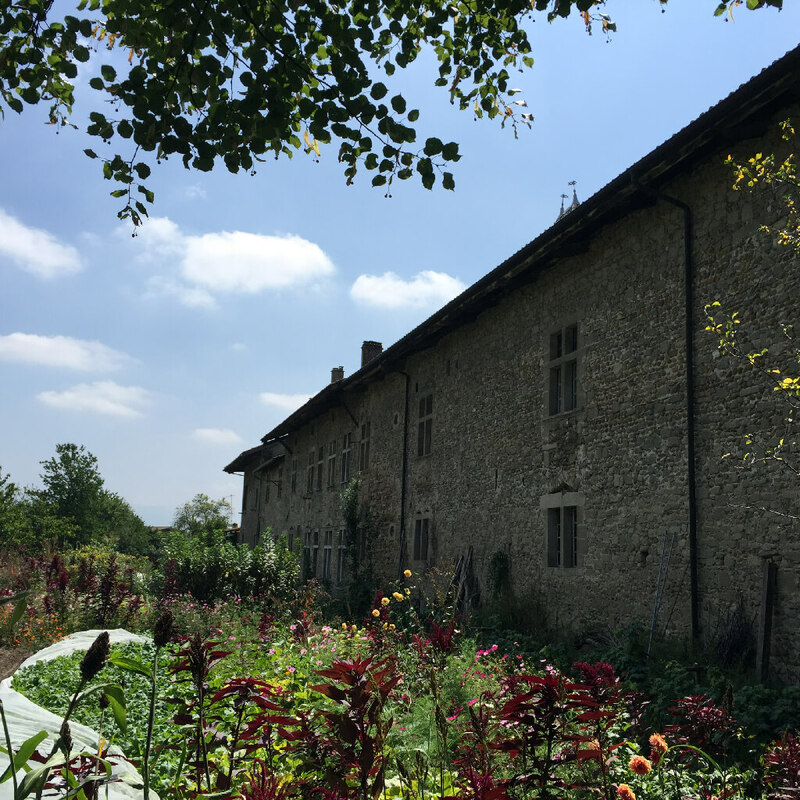 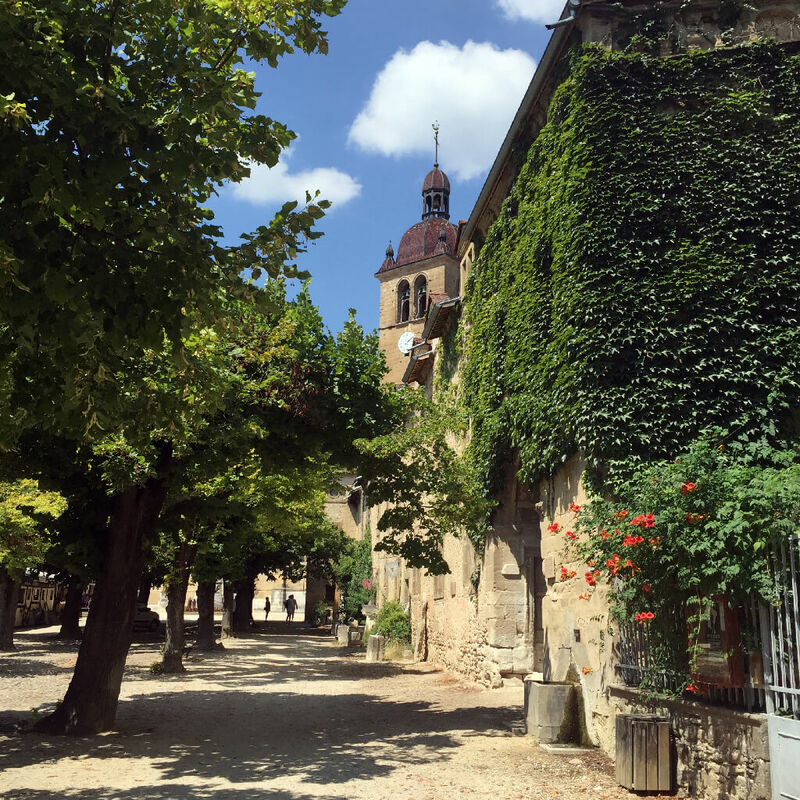 The workshop is a 6-day course writing an average of 8 hours a day in a privilege location in France. 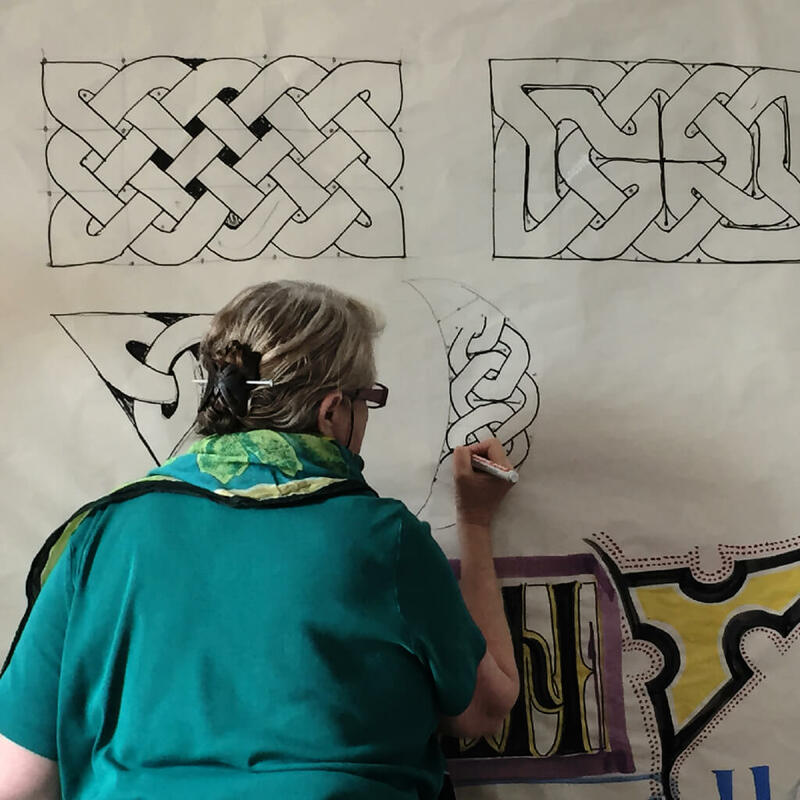 During our workshop we studied The Book of Kells, paying attention to celtic writing as well as celtic illumination. 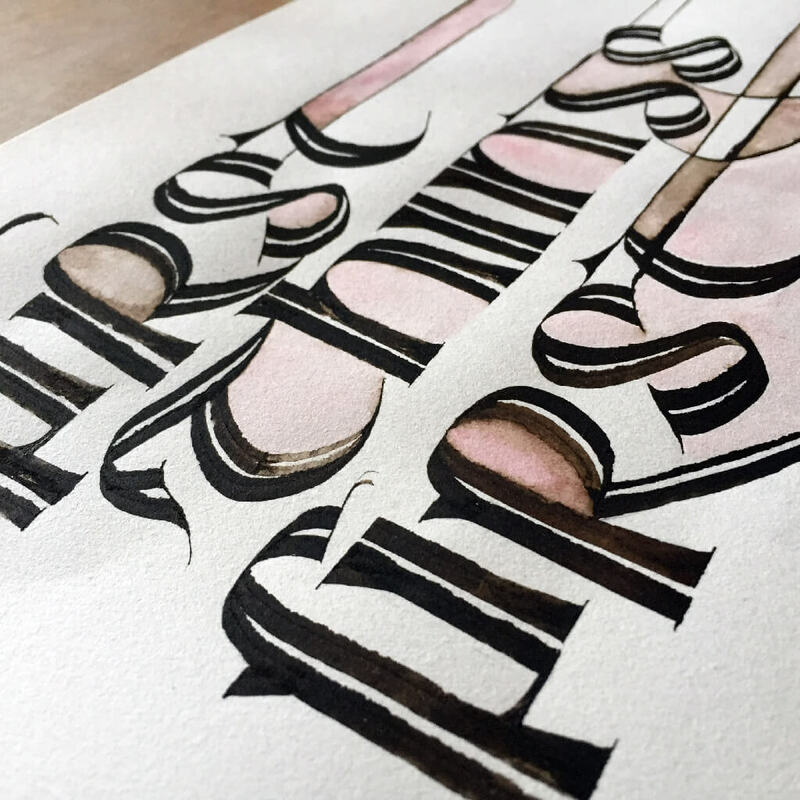 This was my first time learning this calligraphy styles and I enjoyed it very much. 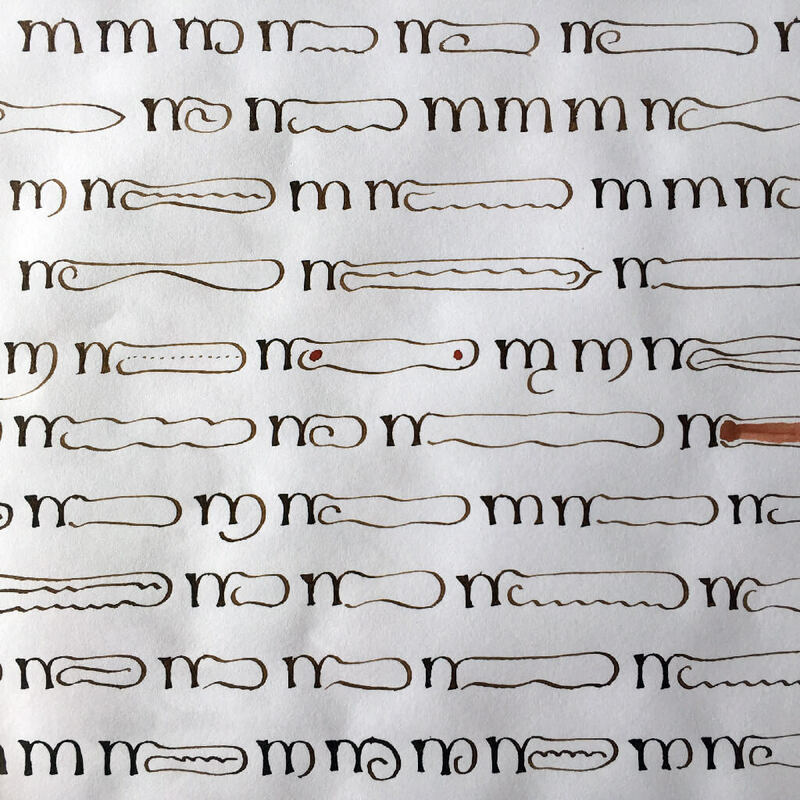 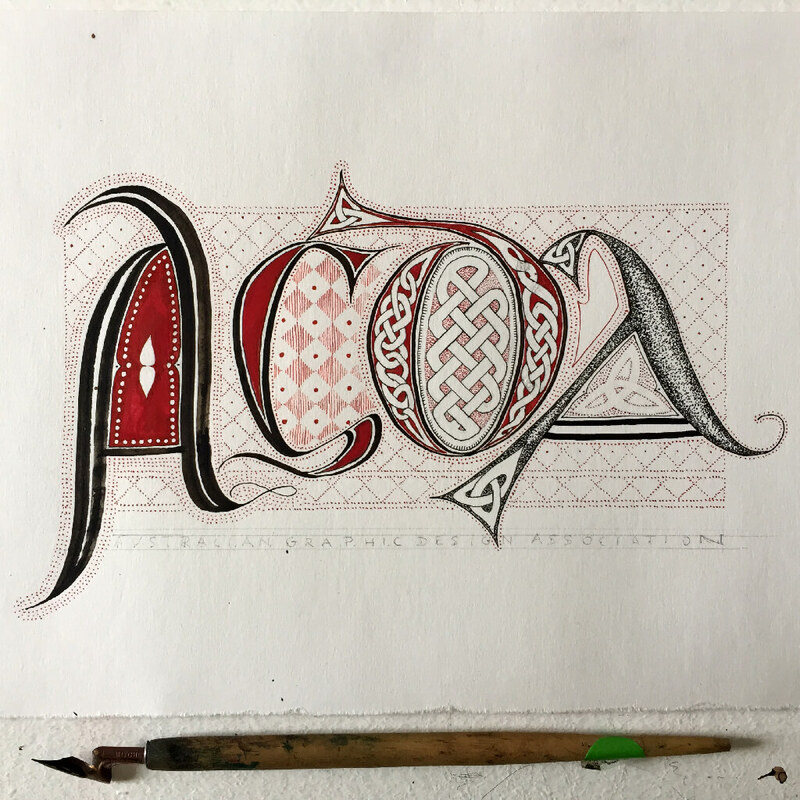 Below you’ll see some images documenting this fantastic week learning Celtic calligraphy with Amanda Adams. 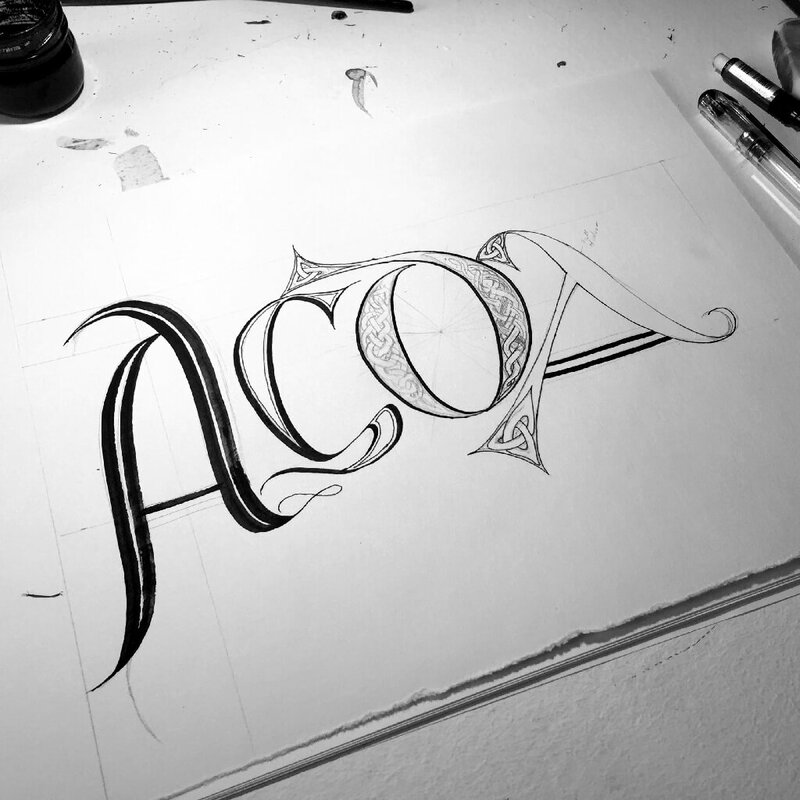 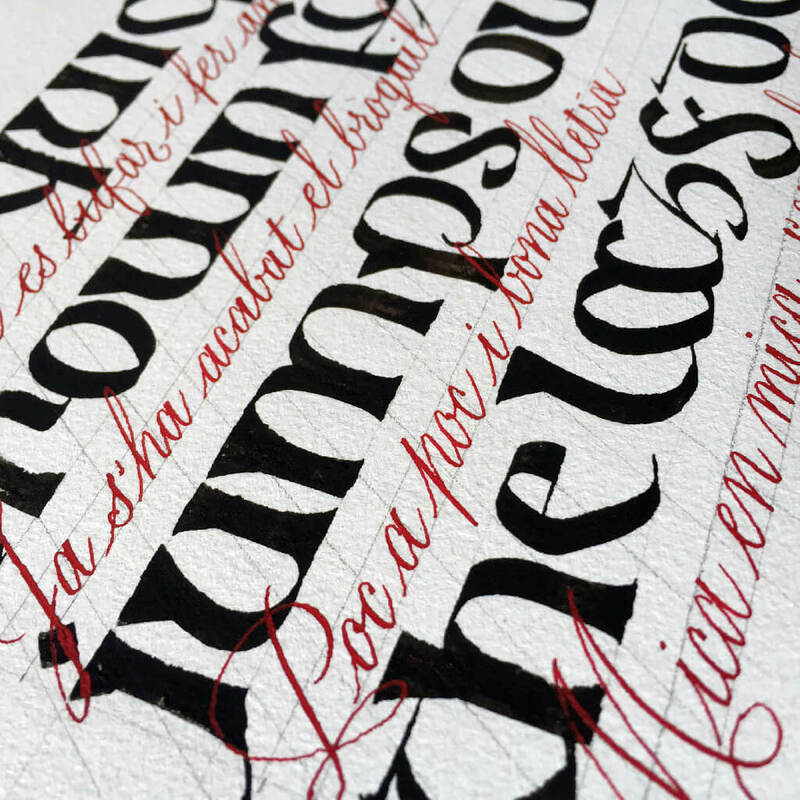 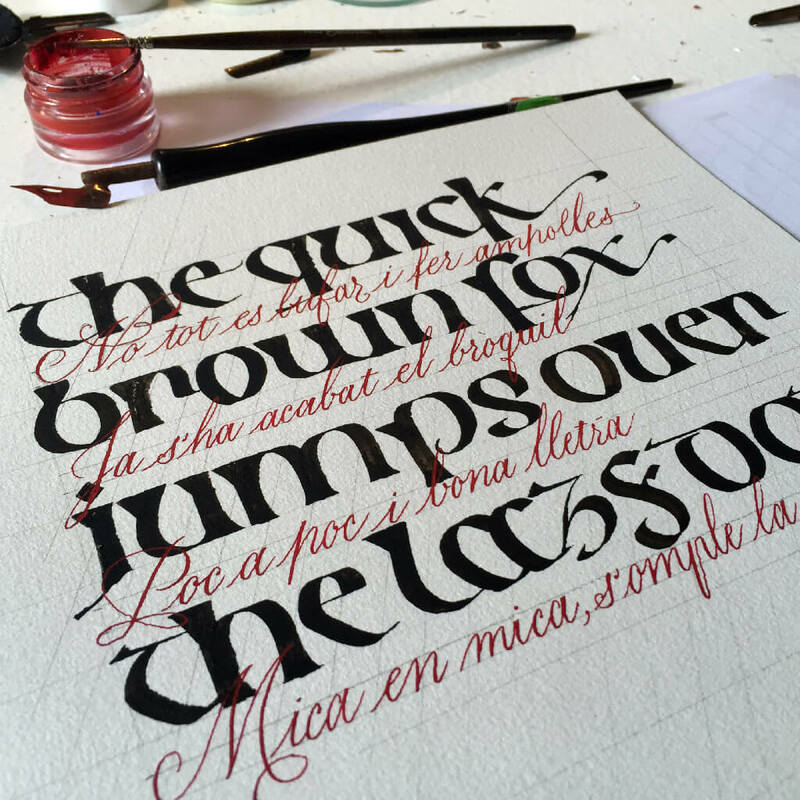 The writing style is very intricate and very slow, up to 13 strokes for one single letter. 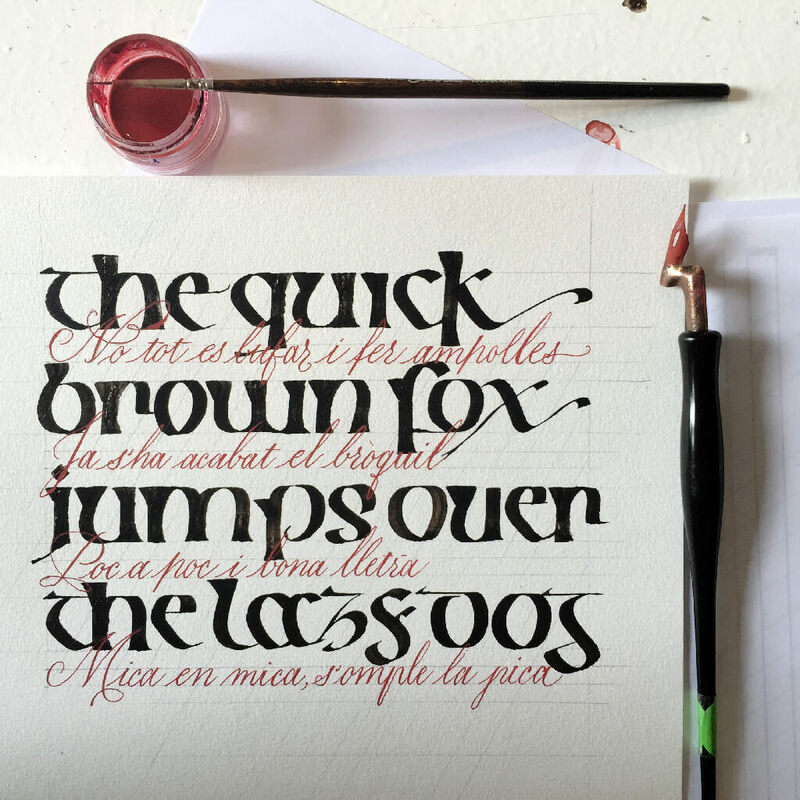 Learning how to read Celtic calligraphy. 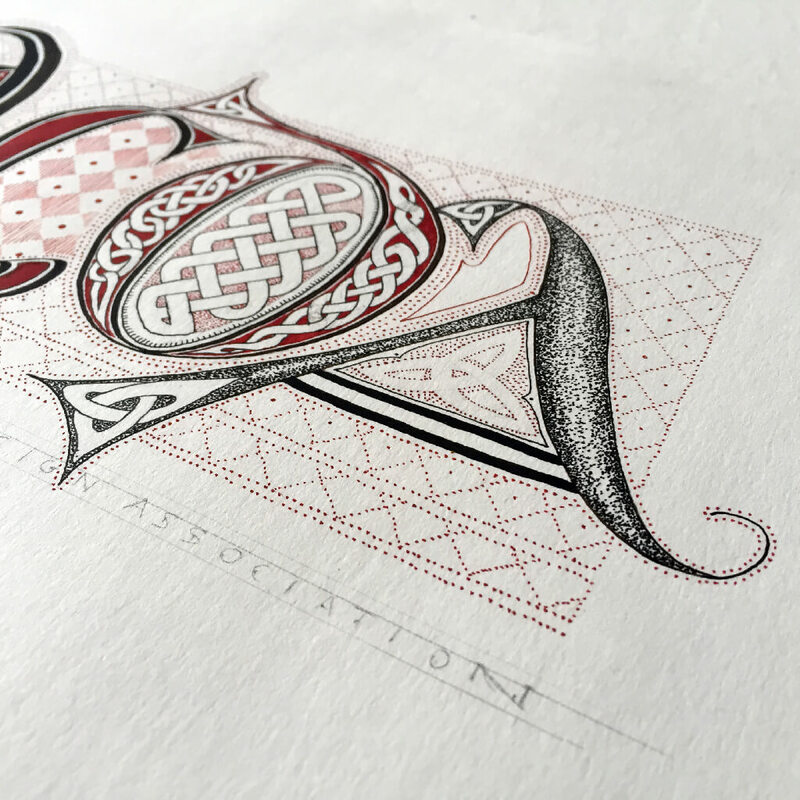 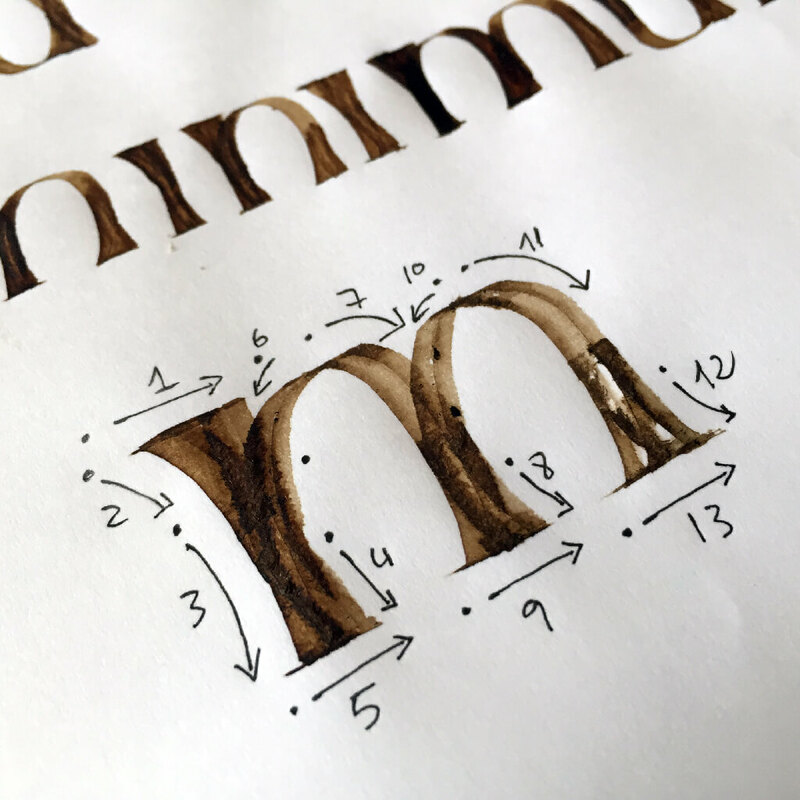 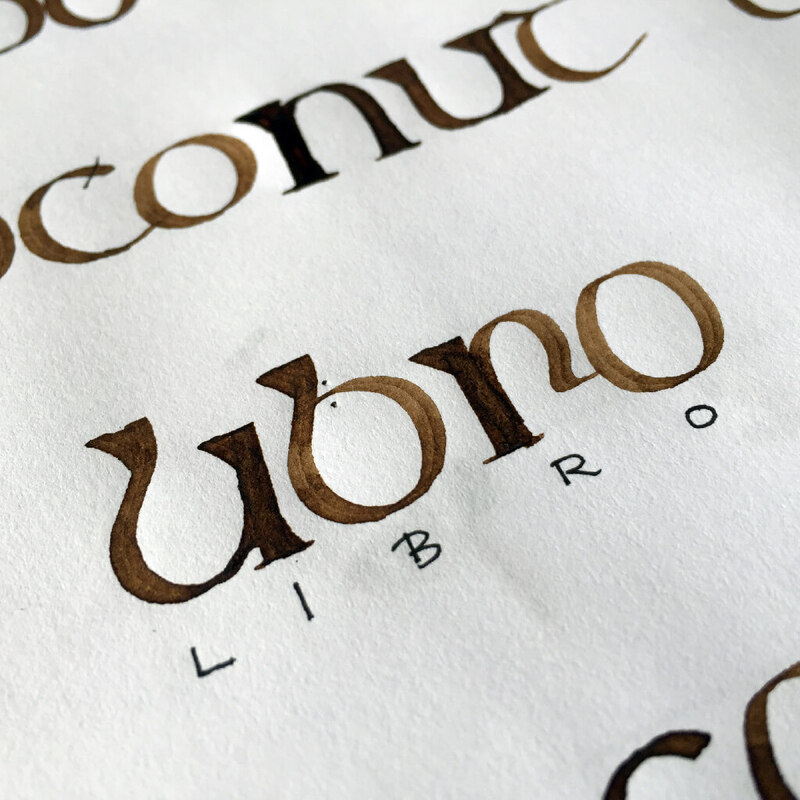 Creating a texture with Celtic Calligraphy. 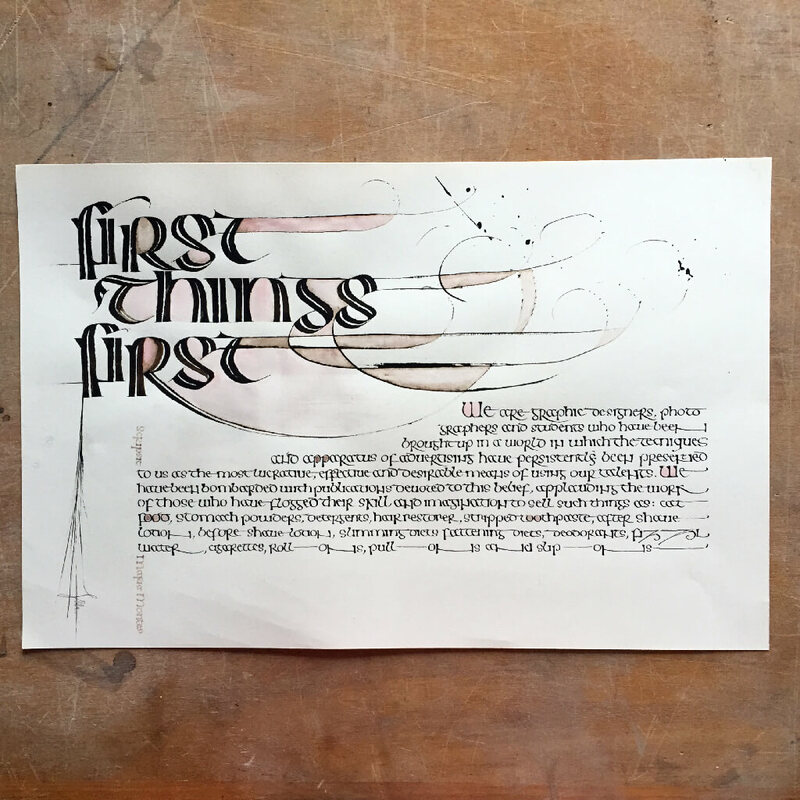 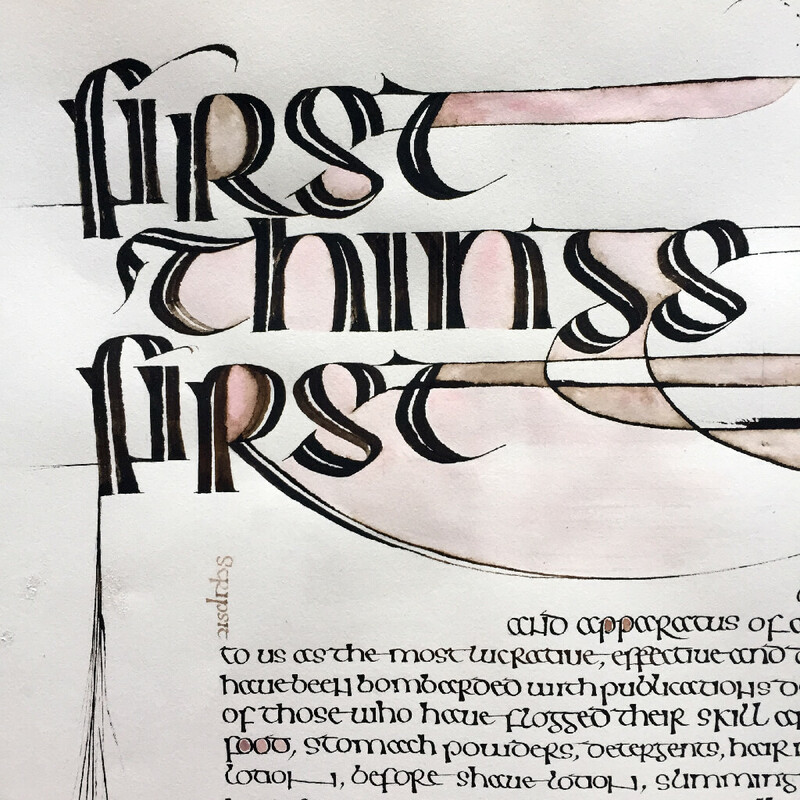 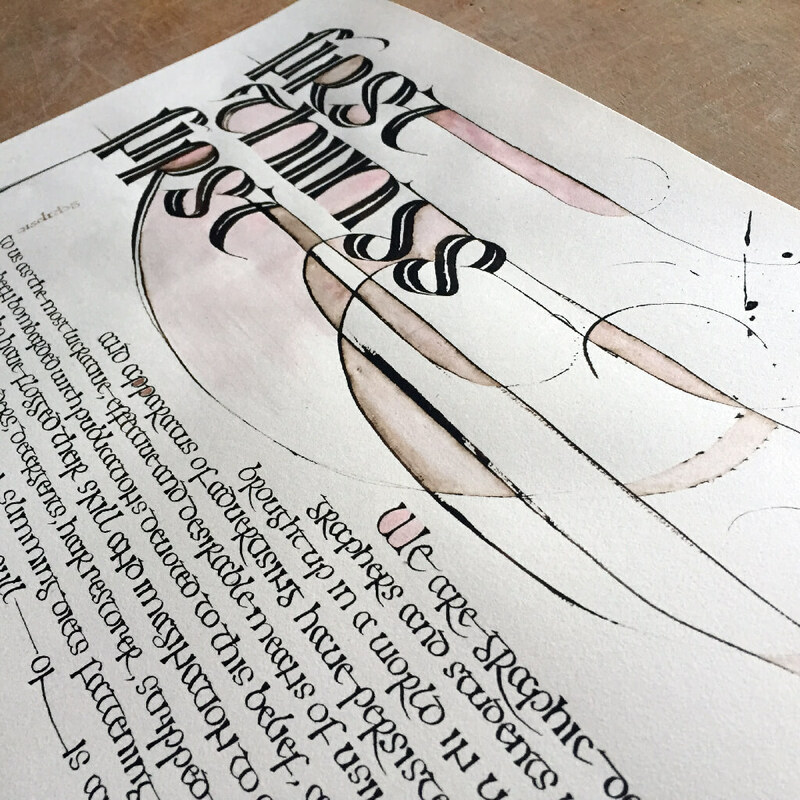 First Things First written in 1963 and published in 1964 by Ken Garland along with 20 other designers, photographers and students, the manifesto was a reaction to the staunch society of 1960s Britain and called for a return to a humanist aspect of design. 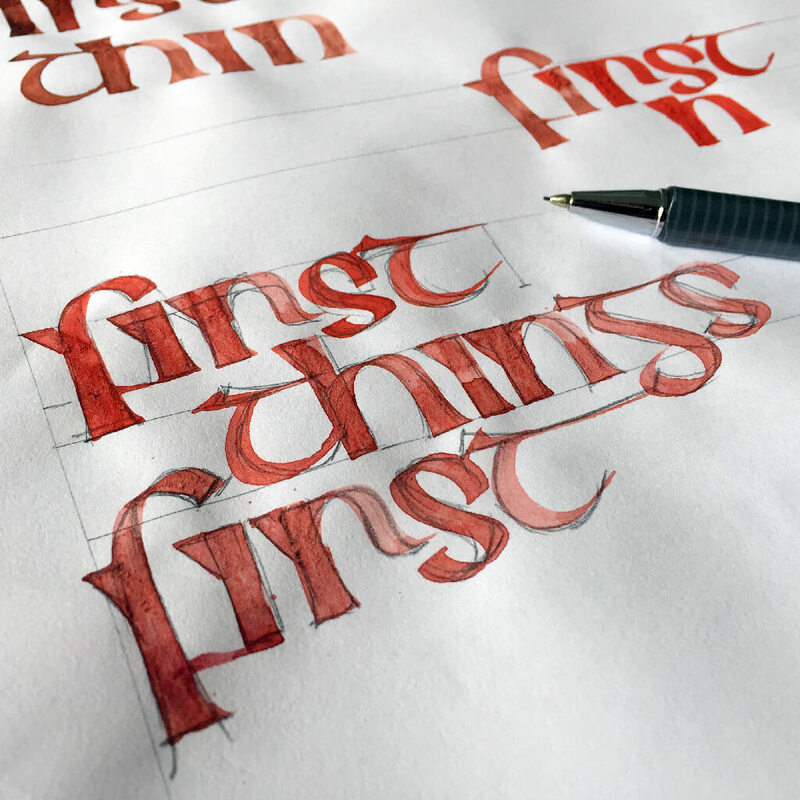 It lashed out against the fast-paced and often trivial productions of mainstream advertising, calling them trivial and time-consuming. 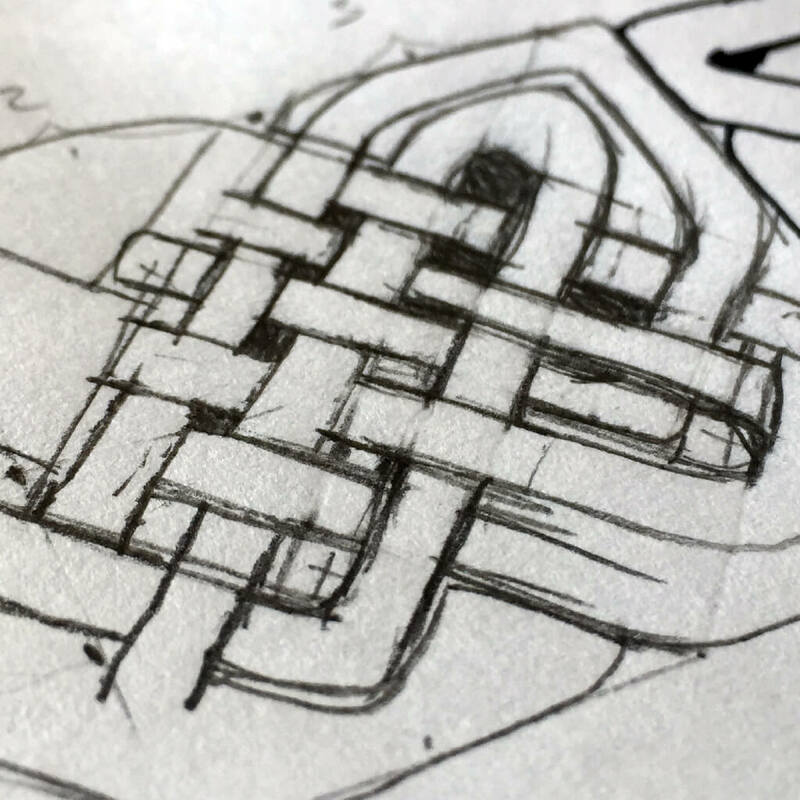 It’s solution was to focus efforts of design on education and public service tasks that promoted the betterment of society.